Rome Flynn, Zende Forrester, on The Bold and the Beautiful. 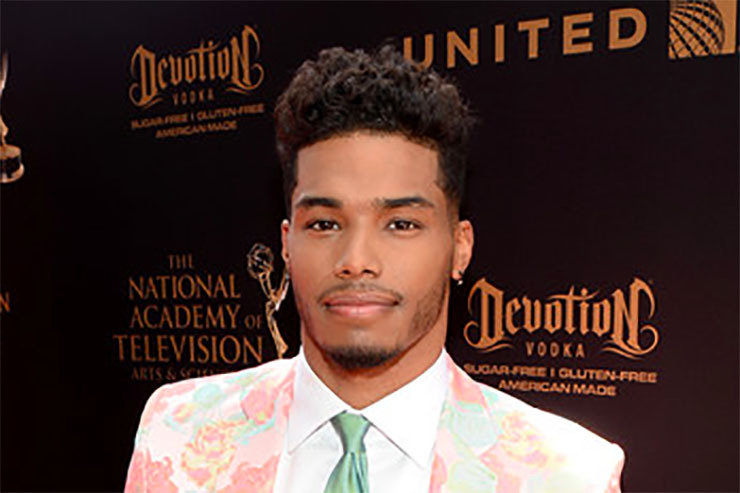 The Bold and the Beautiful star Rome Flynn has a fun new gig coming up! Rome Flynn is set to guest star on an upcoming episode of NCIS: New Orleans! Flynn (Zende Forrester) offered a series of Tweets to his fans in conjunction with his upcoming appearance on the show. One of the Tweets expressed his excitement to be headed to the Big Easy. He then followed up with a tweet from the city itself. See his Tweets below. No airdate is set for the episode of NCIS: New Orleans that Flynn will be on, according to Soap Opera Digest. Flynn has played Zende Forrester Dominguez since 2015. Since then, his dashing looks and thespian talents, not to mention his chemistry with on-screen wife, Reign Edwards (Nicole Avant Forrester), have made him an integral part of the show and a fan fave. After some rocky times, Zende and Nicole finally tied the knot last month. Now Zende seems focused on figuring out exactly what Coco Spectra’s (Courtney Grosbeck) deal is, what with her interning at Forrester Creations and all! Flynn was an accomplished high school athlete and was admitted to Benedictine University on a basketball scholarship. He’s also a self-taught guitar player and has recorded his own music. He combined those two talents in the lead role in the VH1 movie, Drumline 2: A New Beat. Flynn hails from Chicago, Illinos. He has two siblings: a brother, Wisdom, and a sister, Love. He is 26 years old and of African-American, Cuban, and Irish heritage.